A presenter – or “conférencier” – will guide you through this delightful evening. Sporting a costume in keeping with Mozart’s times, he will recount anecdotes about Mozart’s life and interesting background to the works about to be performed. Excerpts from Mozart’s letters grant us intriguing insights into Wolfgang Amadeus Mozart, the private person. 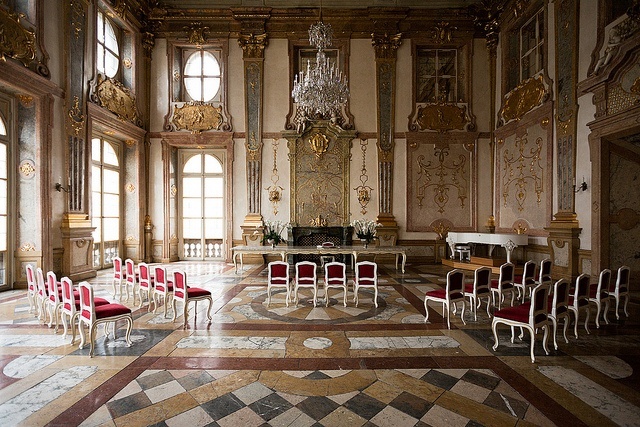 The baroque Marble Hall of Mirabell Palace is known as one of the most beautiful and historically important concert halls in Salzburg and the world. In former times the Mozart family played music there for the archbishops.